The photograph of a car–the Rolls Royce–drove me to the subject of money today. The Wraith it is called, and how appropriate that a creepy name could alert us to a creepy problem developing in this country. I don’t mean the well-kneaded subject of income disparity. I mean the developing tragedy of a perceived government underclass. But back to the Wraith. 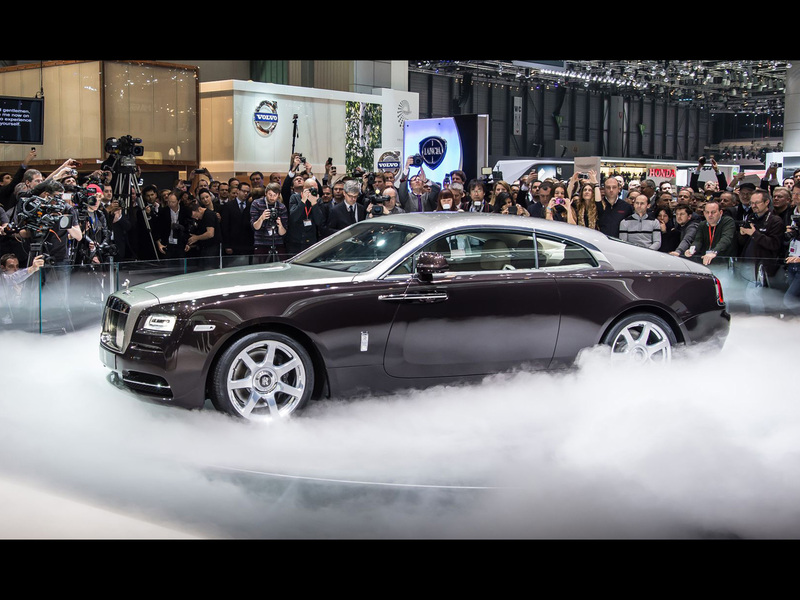 As test driver Bradley Berman wrote in “The Ecstasy of Excess,” test driving the Wraith was an otherworldly experience. It can go from a standstill to 60 miles per hour in just over four seconds, and the push of a button causes umbrellas to spring from the door jamb. This is an unneeded extra in the West right now; however, there is also the celestial, nighttime experience created by 1,340 tiny LEDs hand-sewn into the ceiling. Actually, I think that might be rather tacky. And who is buying this wonder priced at about $375,000? 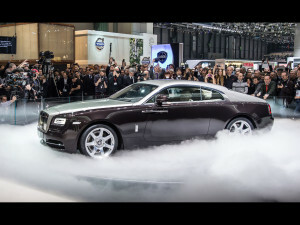 A Rolls representative describes the typical customer as “the sickeningly clever and very wealthy, and really cool, pioneering dot.com guys, blokes in their late 20s and early 30s.” Some are even buying a second Rolls in the form of the more traditional Phantom ($500,000) and the less expensive Ghost at only about $300,000. “Pioneering dot.com guys.” The mind flies to the Affordable Care Act and the nightmarish problems involved in trying to get it up and running. And then comes the realization of how dependent government is on Internet technology, and how there is no way, financially speaking, that it can compete with private industry for the required talent. That would be bad enough, but there is also afoot a growing antagonism toward and disdain for government in general. “Government is the Problem!” is the new battle cry. The idea behind it is that government is too big and that bureaucrats are incompetent, a burden to taxpayers, and a collective dead weight. Of course government employees pay taxes too and provide services essential to the nation’s well-being. Nevertheless, these facts are disregarded by very smart people who have found complaint an effective way to mobilize people who aren’t very sophisticated. Leadership through irresponsibility, you might call it. We also have at work a prejudice in favor of private enterprise. The culture of the United States has become very much about making money, and the more of it the better. The linkage between self worth and net worth may be unconscious, but it smooths the way for the super-wealthy invading the so-called democratic process. The assumption is that the super-rich are also super-smart and probably know what’s best for the entire country. Underlying this assumption is the belief that exceptional performance should be rewarded financially. To test that idea, we need to compare government compensation with that in private industry. Since the dot.com world inspired this discussion, let’s look at them. Take the average “tech salary” in Silicon Valley, those young folks in their 20’s and 30’s. It has now risen to $108,000 year. If you look at the top executives, many have total compensation well into the millions, with Oracle’s CEO at the top at nearly $100 million. You can see the CEO salaries in detail at http://www.siliconvalley.com/salary-survey/. Now let’s look at the salary of the president of the United States: $400,000. The vice president: $230,700. Senators and representatives: $174,000. The chief justice of the United States: $255.000. Cabinet members $199,700. Peanuts, relatively speaking. In a country in which money talks louder than virtually anything else, government salaries are dismaying. No wonder the resentful feel increasingly free to abuse government employees. Their bullying is financially inspired. Never mind that so many government employees are enormously intelligent and dedicated. Like many people in the not-for-profit sector, academia, and education, they often make financial sacrifices to perform responsibilities that they believe in and for which they are uniquely qualified. We admire the dot.com geniuses, but they represent only one small sector of a very complex economy. Not all of us want to spend all day long every day working on the next digital whiz device either. So how do you attract technological expertise into the field of government where it is desperately needed? Well, first of all, you don’t do it by making government the object of contempt and abuse. And secondly, you don’t continue to promote the idea that IQ and judgment are perfectly matched with net worth. Being successful in business is a very admirable thing, but it is not a prerequisite for becoming an Ascended Master. In conclusion, I would like to say that the Federal Government could begin to be pared in non-essential ways. The problem is that some specifics need to be proposed that are practical as well as politically enticing. Put before the people, those specifics that affect everyday life for everybody might actually generate a higher quality of debate. This debate might also stimulate an awakening. I’m thinking, for example, of a vocal critic’s moment at breakfast. As he sits down, he suddenly realizes that it is due to federal inspectors that the glass of water before him is not contaminated by chemicals or deadly bacteria–and further, that they have also spared him the sight of bugs in his oatmeal. His head drops over clasped hands, and he gives thanks.